A charismatic and confident explorer, dedicated to seeing all the wonders of the universe, the Thirteenth Doctor champions fairness and kindness wherever she can. Still a little dazed from her explosive regeneration, the Doctor crash lands on Earth, but that doesn’t stop her from jumping into action to save the universe. Brave and selfless, like her previous incarnations, the Doctor is a hero who will run towards danger without hesitation and she’ll always answer a call for aid when she hears it. 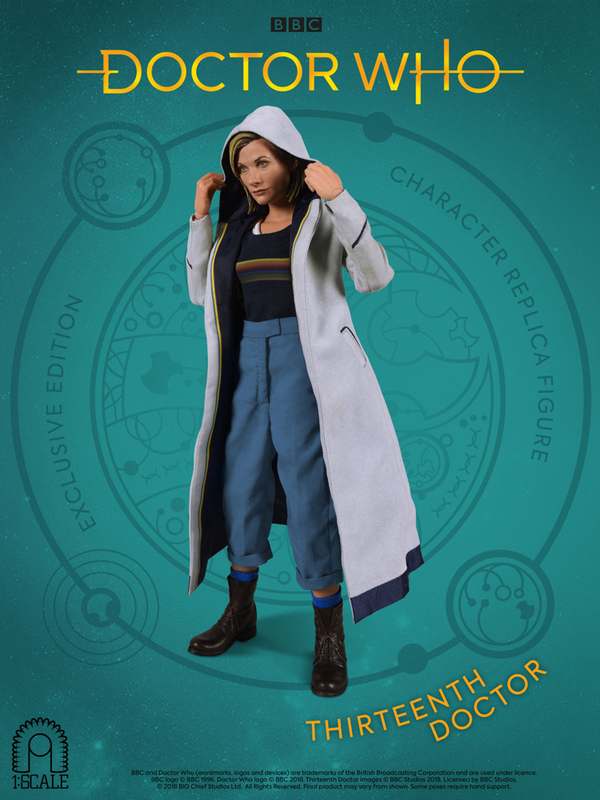 Now available to order the Thirteenth Doctor Signature Edition is limited to only 500 worldwide. Including a special autograph plaque hand-signed by Jodie Whittaker, the Doctor herself, the figure features two fully realised life-like portraits, one neutral and one smiling, hand-tailored costume, numerous accessories and a special light-up display base.